Hanoi (VNA) – The Vietnam Social Security (VSS) targets 32.3 percent of the workforce nationwide joining social insurance in 2019, 33.9 percent in 2020, and 35.6 percent in 2021. Besides, it also aims to increase the coverage of unemployment insurance in 2019, 2020 and 2021 respectively at 27.3 percent, 28.6 percent and 29.8 percent. In Hanoi, the sector has set a goal of 53.6 percent of the workforce join social insurance by the end of this year and 59.1 percent in 2021, while the rate of labourers joining unemployment insurance is expected to reach 50 percent in 2019 and 54 percent in 2021. 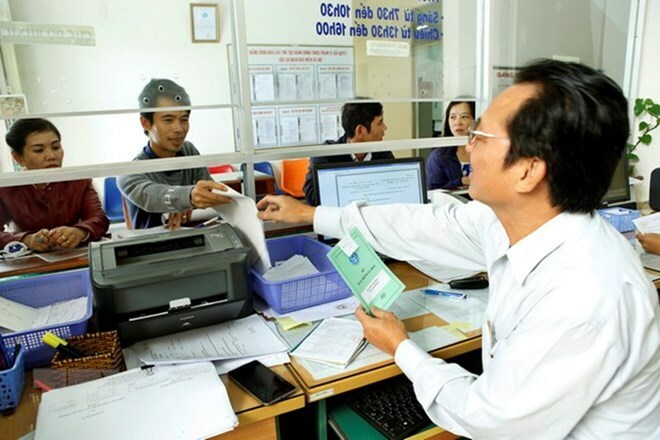 In Ho Chi Minh City, the coverage of social insurance is hoped to reach 62.7 percent in 2019 and 66.9 percent in 2021, while that of unemployment insurance is expected to hit 60.1 percent in 2019 and 63.1 percent in 2021. Meanwhile, the target for a number of localities such as An Giang, Bac Lieu, Ca Mau, Dak Lak, Dak Nong, Dong Thap, Gia Lai, Ha Giang, Soc Trang and Son La is much lower than the country’s average, at only 10-11 percent. To achieve that target, the VSS has asked its branches in localities to advise the People’s Councils and People’s Committees to put the social and unemployment insurance targets to the socio-economic development goals of the locality, while mobilising resources to support labourers to join voluntary social insurance. It is necessary for them to coordinate and share data with relevant agencies to deal with social insurance debts and dodge.